Now I honestly thought I wasn’t one who collected perfumes. I knew I liked perfumes and had a fair few different ones but only was it the other day that I realised the extent of my ‘fair few’. 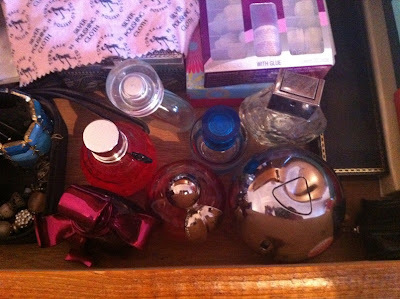 I keep all my perfumes in my second draw of my cabinet. The first draw is home to my makeup (that doesn’t fit on top of the cabinet :P) I like keeping my perfumes in a draw as firstly it stops them from getting dusty and it also prevents any sunlight getting into them and causing any problems. 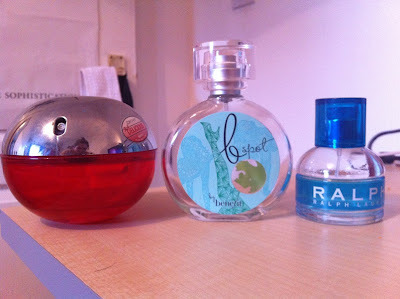 These are my daily/cheap perfumes and that I can just throw on at any time. 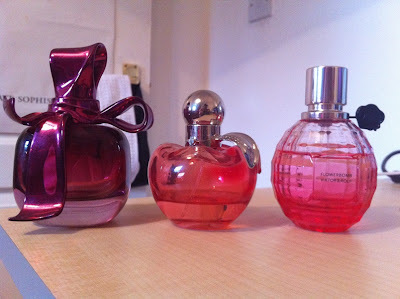 I say these is a cheap perfume as I only ever buy it when its £19.99 for 100ml. Its a bargain and lasts forever! This is a great daily scent which isn’t too overpowering. It has crisp apple as a base note and mixes this with red fruits, vanilla and a hint of rose and violet for a great summer scent. This is another cheap perfume as I got it free when I bought two benefit products. I have just run out and hoping I can grab another bottle online as they don’t sell it in the stores anymore. This is a combo of mango, freesia, peony and sandalwood. 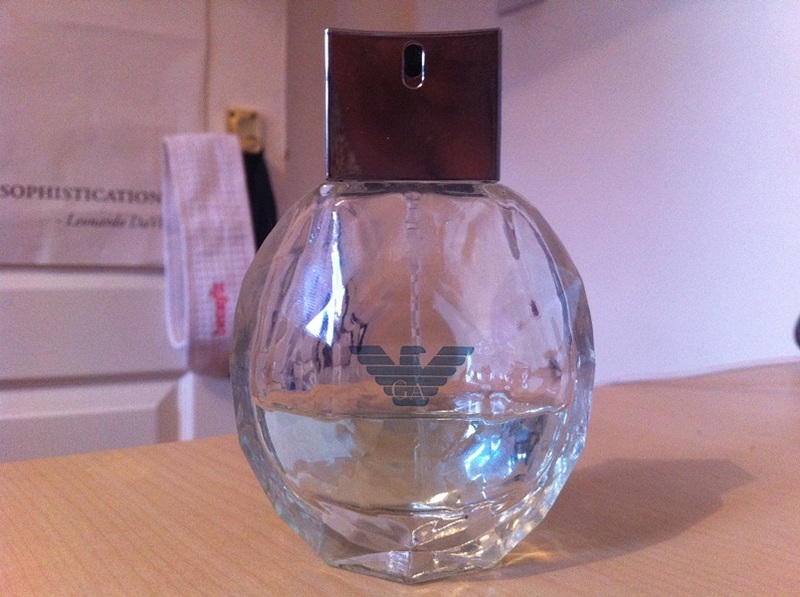 It’s a bit heavier then my normal everyday perfume but it lasts great on the skin. This is my go to summer fragrance and reminds me of being a teenager as ive always had a bottle of this on the go. Its only £14.99 for 30ml and mixes sparkling green apple leaves with orange mandarin, pink magnolia and freesia. I love love love this scent and it is totally a me scent. It is light, summery and floral. perfection. It includes apple (I seem to like apple!) vanilla, lemon, lime white cedar and wood accord. Another floral scent which is perfect for the day or a summers night. This is my newest perfume and was pretty pricey (around £55) but at least you get 50ml. It has tangerine, bergamot and pink pepper. It also has freesia which all my perfumes seem to have! This is my special evening treat perfume! it has rose, lily of the valley, freesia (again!) lychee, raspberry and vanilla. I find this scent lasts well throughout a night out and I love the bottle too! Love this post! I have never bought perfume, mine is all birthday/christmas presents and I seem to have quite a collection now! You have inspired me to do a post like this!